Art of Pilates Long Island is a studio where you can achieve and discover the perfect balance of mind & body as one. We host our pilates studio classes in a small intimate group setting which ensures a personalized workout with highly effective results. New to pilates and reformer? While it is recommended you book a private session so you can familiarize yourself with the Stott V2 Max reformer, it is not a requirement. 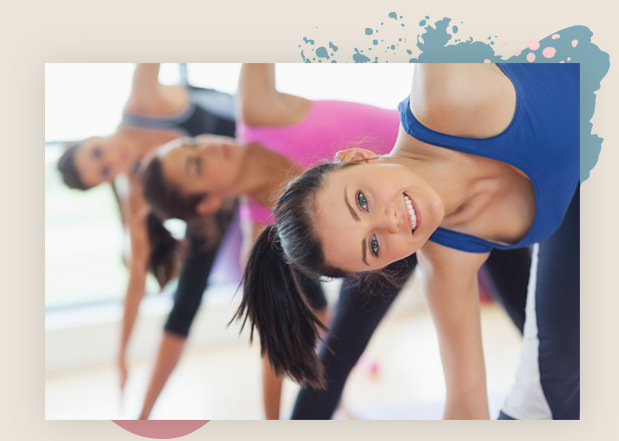 Our small group pilates classes in Long Island are designed to offer you individual attention. Are you at a beginner level, intermediate level, or expert level stage of pilates? Well, no matter the level, we are here for you. Even if you have never taken a pilates or reformer class, we are here to teach and to guide you. We strive to give you the best workout experience, and we would love for you to stop by and see what we do! Visit our Long Island, NY pilates studio and click the link below to learn more about us! Our small-group classes in our pilates studio in Long Island, NY have only up to eight people per class and are led by dedicated trainers to help you experience a workout like no other. Do We Offer Private Pilates Classes? Yes, we also offer private pilates classes here in Long Island so that you can familiarize yourself with the workout in a comfortable setting. Why Should You Come to Our Studio? No matter which setting you choose in our pilates studio in Long Island, we’ll keep you motivated with great music, a positive attitude, and fantastic results. Burn calories rapidly and sculpt your physique in ways that traditional exercise simply cannot match. 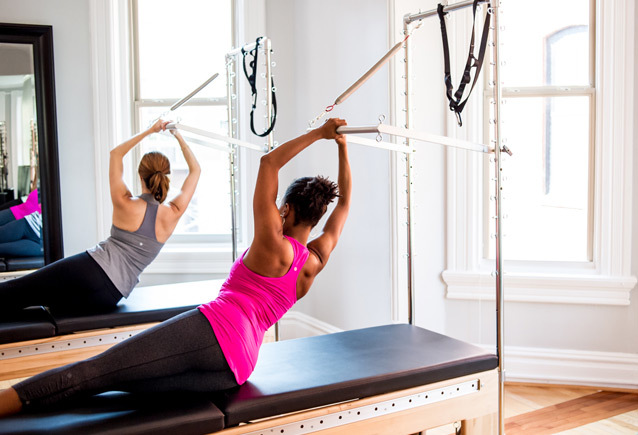 We offer a variety of different pilates reformer classes and our signature 50-minute pilates class focuses on a full body workout using STOTT reformers. The goal is to combine the classic elements of pilates (including balance, flexibility and core strength) with heart rate elevators to provide you with maximum results. Visit our pilates classes in Long Island today to get started, and contact us if you have any questions! Refer a friend and receive a free class. Be sure we have your email and birthdate so we can send you free sessions for your birthday and whenever you refer a friend. Please keep conversation to a minimum during class to allow everyone to concentrate on the learning experience.